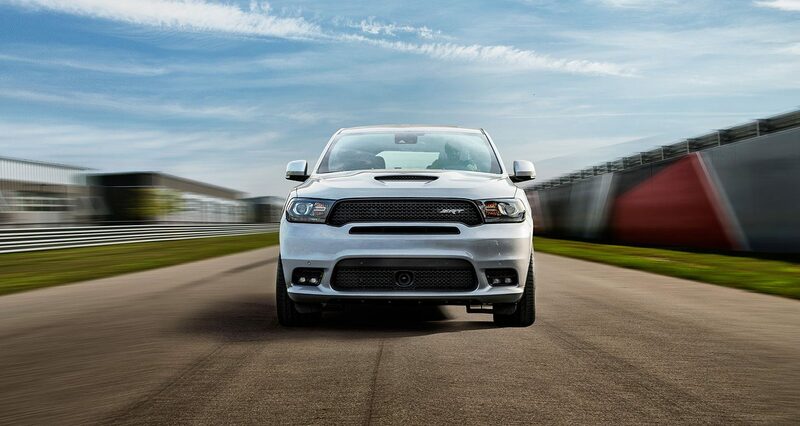 The Dodge Durango SRT® is a performance powerhouse. Cut from the cloth of our most powerful SRT vehicles, the Durango SRT is America’s fastest, most powerful and most capable three-row SUV. It is pure muscle. Powered by a monstrous 6.4L HEMI® V8 engine, it’s more than capable on the track. 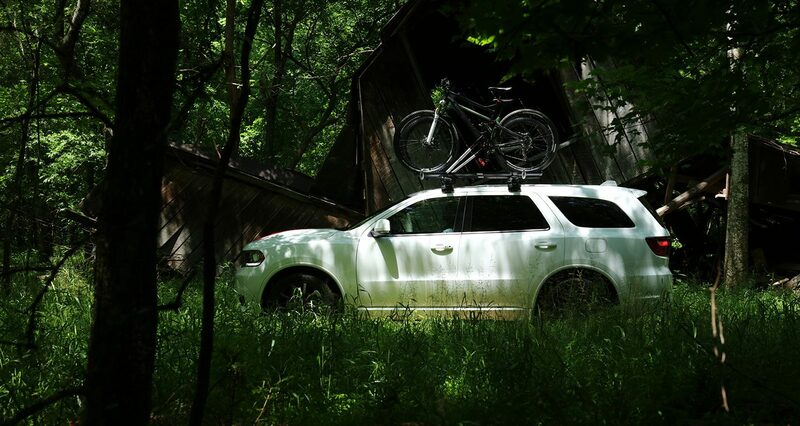 Power your adventures with some serious muscle. The 6.4L HEMI® V8 engine pumps out 475 horsepower and 637.2 Nm of torque. And with a towing capacity of 3946 KG, the Dodge Durango SRT® has the best towing capacity in its class. Rocks a powerful body and aggressive styling. And fitted with a signature SRT hood and cold air intake, it has the goods to back up its looks. 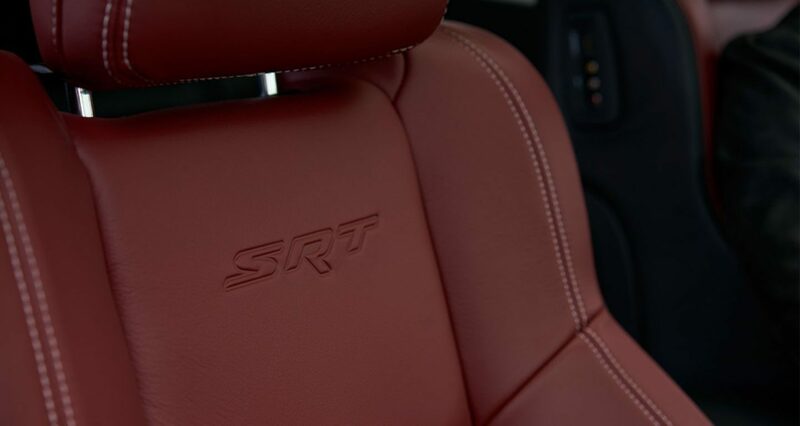 Aggressive exterior styling is matched on the interior with a high performance SRT® steering wheel. 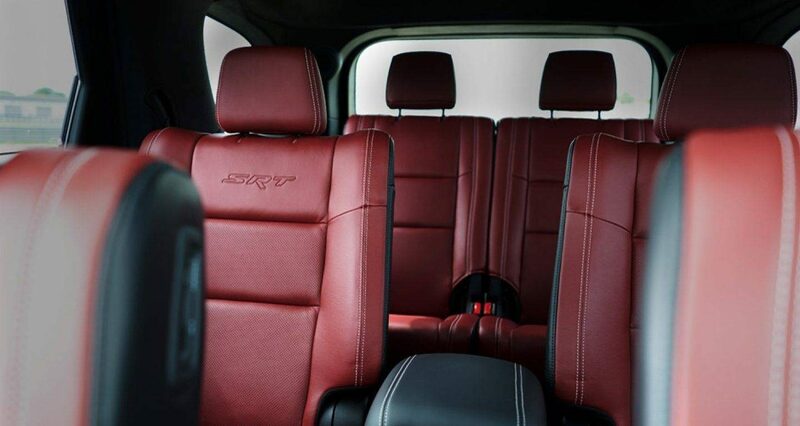 The Durango SRT also delivers high-quality comfort with available Laguna leather seats. 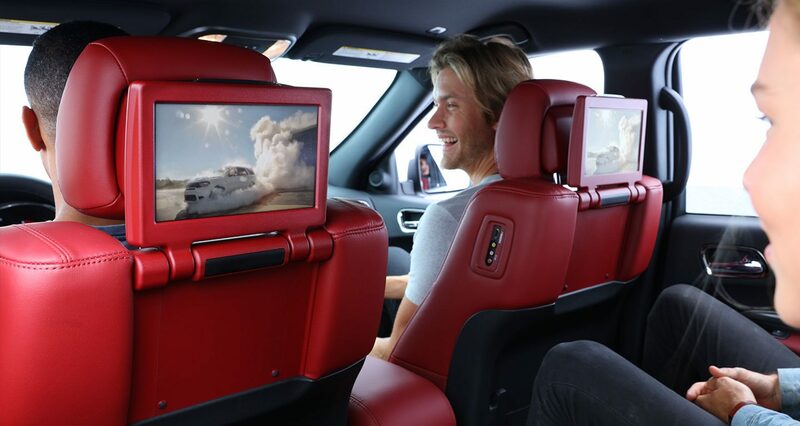 Packs a full-size punch with state-of-the art features that could make any home entertainment system jealous. So put it to the test. And then test it some more.